In the movie Bananas, Woody Allen (aka Fielding Mellish) manages to get himself involved in overthrowing the Batista-like government of San Marcos. The new regime immediately begins executing the leaders of the previous regime, in assembly line fashion. The charges are read, the prisoner is asked how he pleads, is tied to a post, and shot. (It's kind of like Rick Perry's vision of heaven.) We see the entire case of one prisoner unfold before us. Q. "You are accused of killing over a thousand people in your term of office... of torturing hundreds of women and children. How do you plead?" A. Guilty... with an explanation. Those of you who have been monitoring this site hourly to see if I have finally gotten around to publishing anything other than a fluff piece may have noticed that I haven't been posting. To that charge, I plead Guilty, with an explanation. 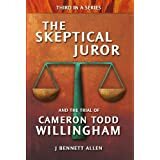 In News Flash #2 Regarding Cameron Todd Willingham, I announced that I had found the transcripts of the case, and I was going to make Willingham the subject of my third book in the series, and I would have the book complete some time next year. In this News Flash Regarding Cameron Todd Willingham, I wish to annouce I now hope to complete the book somewhat sooner. I now hope to have the book finished before the next Sunday Night Football game. I may not make it, but I'll be finished much closer to Faith Hill's Sunday Night Football theme song than Guy Lombardo's Auld Lang Syne. 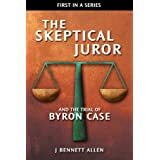 It seemed to me that things were heating up with respect to the Willingham case, and getting the book out next year might make it a day late and a dollar short. So I secretly began writing at a furious pace, to see if I could complete it in a week. I started off pretty fast, but slowed considerably as the lack of sleep caught up with me. I've now settled into a somewhat more moderate, more sustainable, but still aggressive routine, and I'm now satisfied I can turn out a good product by kickoff. Even if I miss by a day or two, I will have written an entire book in around two weeks time. Assuming the book passes muster, and that's far from a given, then my publisher has agreed to expedite things on her end. The book will go to our printer the next day (cover design is already complete), and should appear on Amazon a few weeks after that. The Kindle edition will appear even more quickly, perhaps some day next week. I've had to put almost everything else on hold to make this happen, so I'm falling behind on everything else, including posting here. I'm sure you'll understand, now that I've take the time to explain. 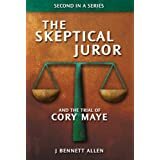 And in all seriousness, I hope The Skeptical Juror and The Trial of Cameron Todd Willingham does something to help with the terrible problem of wrongful conviction in our country.